The capital and largest city of the Czech Republic, Prague is home to great beer, a famous bridge and an incredible range of architecture styles. Millions of visitors each year arrive in this city to discover just how beautiful (and crowded) it is. Best explored on foot with a good pair of shoes, walking through the maze of cobblestone lanes you will discover hidden courtyards, secret gardens, ancient chapels, quaint cafes and small bars that time forgot. You could literally spend days, weeks or even months, falling in love with and discovering the multitude of things to do in Prague. My list below just scratches the surface of this magical city that beckons you to get out and discover it. Stretching across the Vltava River, the iconic Charles Bridge connects the Old Town with Mala Strana. The bridge was commissioned in 1347 by King Charles IV replacing an earlier bridge which was destroyed by floods. Lining the bridge you will see 30 stone baroque statues of saints and various other significant persons from history. A visit to the Bridge between the hours of 10:00 – 22:00 will find you surrounded by what feels like the entire population of Europe, vendors selling souvenirs and painters, sketch artists and street performers trying to catch your attention. Try visiting outside of these hours to avoid the crowds. Just after sunrise is particularly nice because the city has a magical feel about it in the misty morning light. 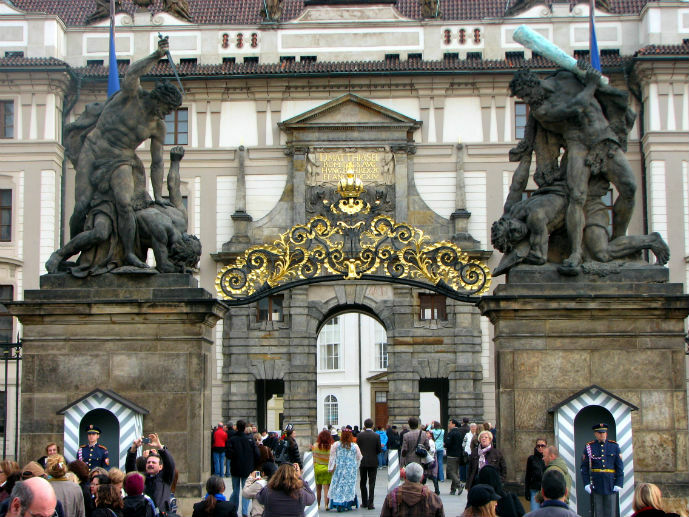 Prague Castle is a sprawling complex of buildings perched on a hill overlooking the city. The castle originated from the 9th century and has been developed over the centuries. There is a lot to see within the castle so I would suggest trying to allow half to a full day to see everything properly. Through the main gates and onto the first courtyard you will find The Prague Castle Picture Gallery, a collection of paintings from Emperor Rudolph II collection including a few Rubens; and the Treasury of St Vitus Cathedral which displays items from the Cathedrals beginnings up to the middle ages. In the next courtyard be prepared for your jaw to drop. Right before you will be St Vitus Cathedral. In my opinion, one of the most amazing Cathedrals in the world (more on that later). To the left is the Powder Tower and Castle Guard collection which are museums but they also offer a good view of the spires of St Vitus without having the strain you neck. To the right is the entrance to the Old Royal Palace featuring Vladislav Hall where the most important state events have occurred. Continue around the back of St Vitus to visit The Story of Prague Exhibition and the lovely little Basilica of St George. Heading down hill now through a cobblestone lane, you can stop by the St Wenceslas Vineyard, the oldest vineyard in the Czech Republic and further down to the lovely Golden Lane where Franz Kafka spent some time in No. 22. You can also watch the changing of the guard on the hour outside the castle’s main entrance or the daily ceremony in the First Courtyard at noon, which includes a fanfare and flag ceremony. Cost: All attractions Adults CZK 350, Concession/Child CZK 175 | Tickets can also be purchased for individual attractions as lesser cost. 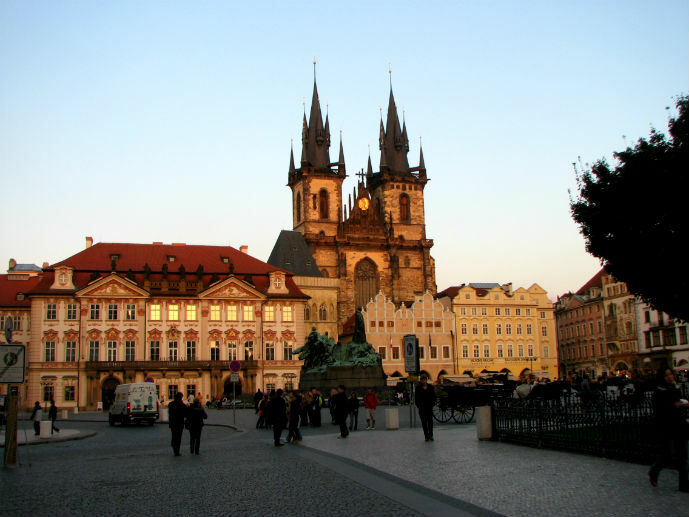 The very pretty Old Town Square of Prague is located roughly in the centre of the Old Town. Looking around the square you will see all of the architectural styles that Prague is famous for, Baroque, Gothic and Renaissance. The Gothic towers of the Tyn Chruch are what you will probably notice first. The current structure, founded in the 14th century, rises above the square with its towers of 80 metres tall. The interior is just as lovely and there is a decent gallery of Gothic, Renaissance and Baroque art works on display. The other main attraction of the square is the Astronomical Clock on the façade of the Old Town Hall. On the hour every day, large crowds form to see statues of the apostles make a mechanical procession through the windows of the clock. St Vitus Cathedral is, in my opinion, one of the most amazing Cathedrals in the world. The Cathedral which is visible from most of the Old Town of Prague, is the final resting place of Bohemian Kings, home to priceless works of art, St Wenceslas Chapel and Crypt and the Bohemian Crown Jewels. The current Cathedral is the third religious building on this site with the one you see today founded in 1344 and has had various additions and restorations since. Take a walk around the outside of the Cathedral which is impossible to photograph in its entirety due to its positioning in the Castle. Make sure you also venture inside to see the spectacular glass windows, especially the Rose Window, designed by Frantisek Kysela in 1925. Cost: Free to enter but some parts are restricted to Prague Castle ticket holders only. 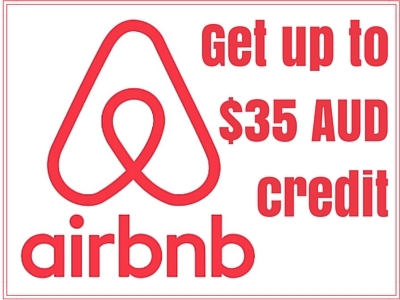 Refer above for prices. A great way to introduce yourself to any walkable city is to take a walking tour. Sandemans New Europe offer tours run by knowledgeable and entertaining guides who work only for tips, basically the tour is free. If you take the tour and enjoy it, you’re free to give the guide as little or as much as you think the tour was worth. If the tour wasn’t great you can just walk away at the end with no one chasing you down for payment. This gives the guide incentive to try really hard to educate and entertain you. 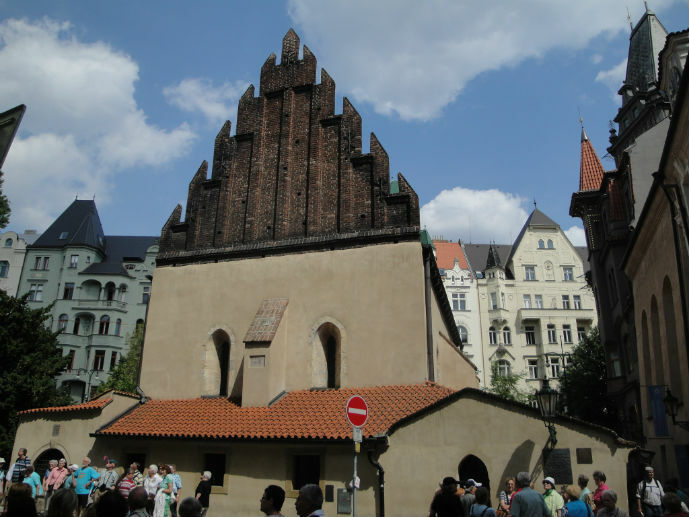 During the tour you will be taken to a lot of the main sights in Prague including the Old New Synagogue, St Nicolas Church and Wenceslas Square. The guide will also take you to top vantage points to view Prague Castle and Charles Bridge away from the crowds. Address: All tours depart from the Old Town Square. Hours: Daily at 10:30 and 13:45 and run for up to three hours. 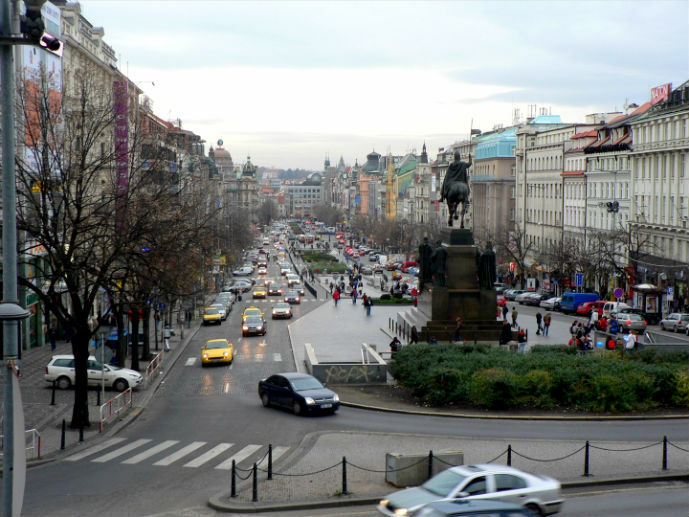 While the Old Town Square is the heart of the Old Town, Wenceslas Square is the heart of the New Town. Surrounded by retail stores, banks, hotels, bars, clubs and restaurants, it’s a bustling square day and night. The 750 by 60 metre square is more of a boulevard which was original laid out over 650 years ago as the city’s horse market. Holding up to 400,000 people, the square has seen many parades, political speeches and protests over its lifetime. There are a few monuments and statues worth noting in the square including the statue of St Wenceslas, the former King, on his horse. In front of the statue is a small memorial to the people killed during the communist era consisting on two plaques. The Old New Synagogue is located in the district of Josefov, the Jewish Quarter of Prague and is the oldest active Synagogue in Europe. This Gothic style building was completed in 1270 and has managed to remain unscathed through attacks on the Jewish community, fires and a major redevelopment of the area. Legend has it that angels brought stones from King Solomon’s Temple to construct the Synagogue and those same angels still watch over it keeping it safe. 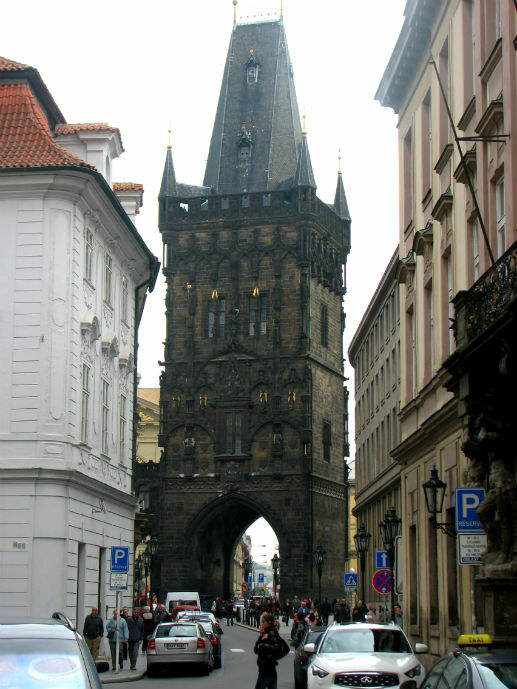 The 65 metre high Powder Tower is the gateway to the Medieval Royal Route that leads through the Old Town, over Charles Bridge and up to Prague Castle. Until 1836 this route was used by the Bohemian Monarchs on their way to coronation at St Vitus in Prague Castle. The tower was built in 1475 on the site of the Mountain Tower, one of the original 13 city gates of Prague. It gets its name the ‘Powder’ Tower from the 17th century when it was used to store gun powder. 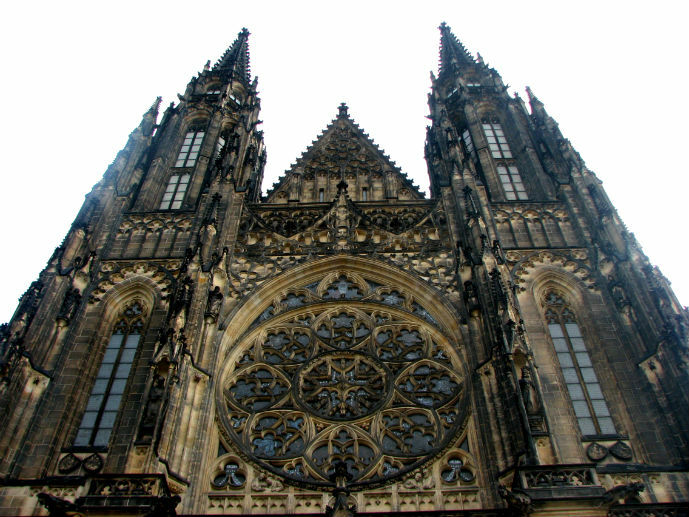 It is said that St Nicholas Cathedral is the most impressive example of ‘Prague Barque’ architecture in Prague. It was built between 1704 and 1755 on the site of a former Gothic church from the 13th century which was also dedicated to St Nicholas. The churches greatest feature is its 70 metre dome which is impressive to see from both the inside and out. 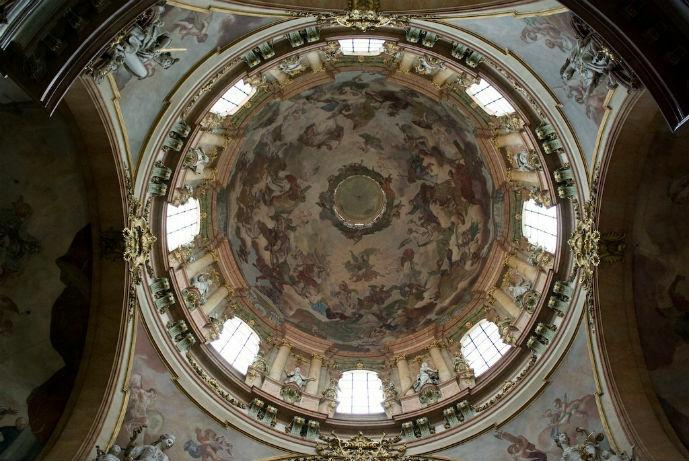 Step inside to see some incredible frescoes, an abundance of statues, and the 4,000 pipe organ that was once played by Mozart in 1787. At selected times throughout the year you can see a concert inside the church featuring works by Mozart. 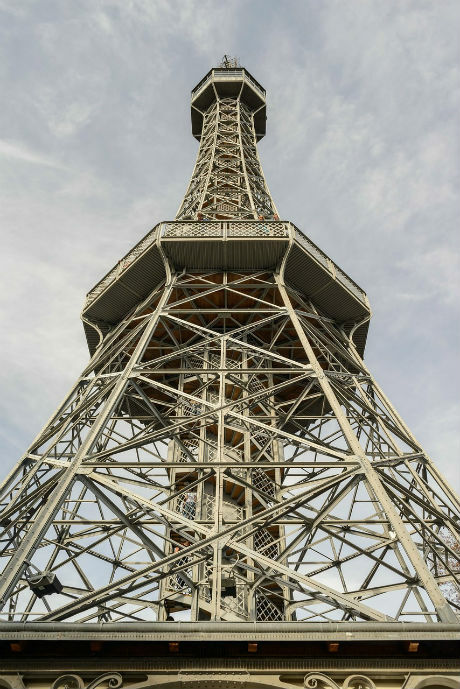 For the best views looking out over the city of a hundred spires, head up to Petrin Hill and it’s observation tower. You can reach the top of the hill on foot in around 30 minutes with the climb being steep but scenic. Alternatively you can take a taxi or ride the funicular railway. The hill is 318 metres tall, and add to that the 60 metre tower, you are pretty much guaranteed a spectacular view or the city and, on a clear day, the mountains off in the distance. There are 299 steps to climb the tower or you can take the lift at an extra charge. 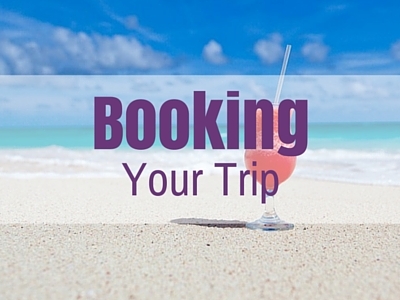 Address: Funicular railway departs Mala Strana from Ujezd tram stop. What do you most want to do in Prague? Wow! Prague looks absolutely STUNNING! I love old European cathedrals and these look great. It totally is stunning Cory. One of the most magical cities in the world. Great Suggestions! Looks like I will need a week at least to take in all of these sites! I love the old Europe magical feeling from the architecture and cobblestone streets. Thanks JJ. I hope you enjoy Prague. Thanks Paul! If you love old architecture then Prague is a must see. 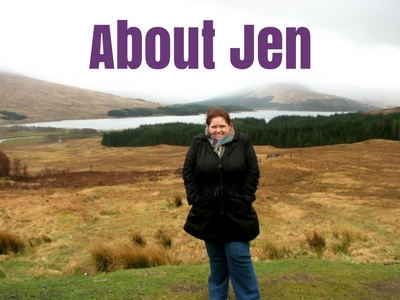 Great detailed info Jen. I’ve only had an 8 hour layover in Prague in the dead of winter but that brief taste was enough to tell me I want to go back. I hope to be in Eastern Europe this fall so this guide will really come in handy. Glad you will find it helpful Sarah. I’d love to go back to Prague in winter to see it all dusted with snow. Great list! 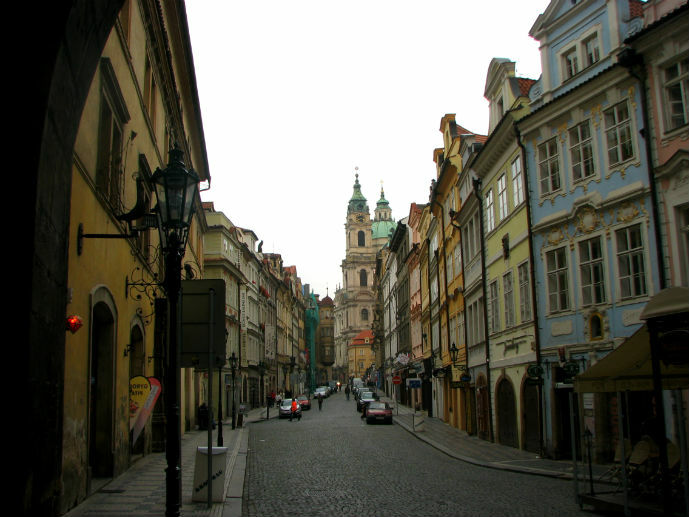 I visited most of these places when I was in Prague except for much of the New Town and the observation tower. With as much as I love climbing towers, I’m sad I missed that one. I guess it’s just another excuse to go back. Thanks for the tips! Looks beautiful! Prague is high on my list of cities to visit, the problem is always too many places and not enough time! This is a great list. I totally agree Tamara. It’s getting harder and harder to choose places to go with my list growing so fast. Hope you do enjoy Prague when you eventually get there. Wow, what beautiful architecture! I’ve wanted to come to Prague for a long time but have never managed to get myself all the way over to Europe. I’d heard a lot about Prague but never really knew specifically what there was to see, so this post was a great help! Oh Karyn you must visit Prague when you eventually get to Europe. It’s probably on of my top 5 places in the world! Great suggestions! There’s some beautiful architecture in Prague! Thanks for sharing!